Great cases are those judicial decisions around which the common law develops. This book explores eight exemplary cases from the United Kingdom, the United States and Australia that show the law as a living, breathing and down-the-street experience. It explores the social circumstances in which the cases arose and the ordinary people whose stories influenced and shaped the law as well as the characters and institutions (lawyers, judges and courts) that did much of the heavy lifting. 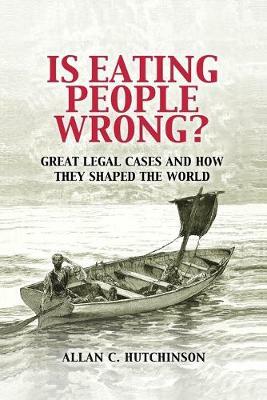 By examining the consequences and fallout of these decisions, the book depicts the common law as an experimental, dynamic, messy, productive, tantalizing and bottom-up process, thereby revealing the diverse and uncoordinated attempts by the courts to adapt the law to changing conditions and shifting demands. Great cases are one way to glimpse the workings of the common law as an untidy but stimulating exercise in human judgment and social accomplishment.